When you are at shopping mall to buy any kind of food, always pick the food from the back row. Because, the new dated packet of foods are placed in the rear row. 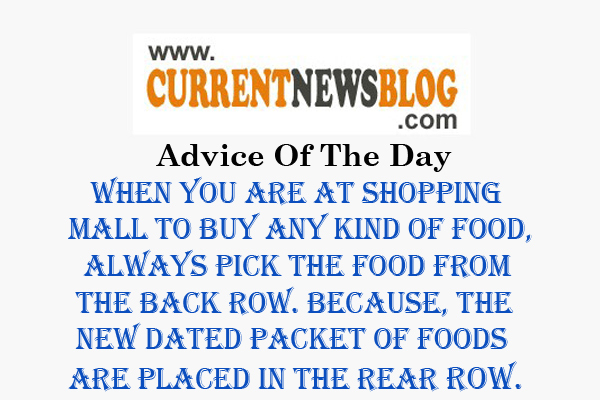 0 Response to "Advice of the day: When you are at shopping mall to buy any kind of food"